Here is the latest on the admission scandal. One couple is pleading not guilty while 13 other parents have agreed to plead guilty. I don't get it. This may be unethical, but seems to me the problem is between the parents and the entrance exam folks or the colleges. What is the standing of the DOJ? The prosecutors have apparently scared the 13 into a plea deal. In the Uresti case I covered, a business man named Farthing faced a similar charge. The charge was that he had conspired iwth Uresti and the County Judge in Pecos for a contract. Instead Farthing was able to show that he paid the understood fee, 10K a month to Uresti who split it with the Judge. Farthing showed that he even filed the proper IRS form 1099. It seems to me the parents could claim the same thing. They hired a coach and admissions experts but had not knowledge of their fraudulent ways. That sounds better than a sure fire one way trip to jail. KPMG Head of Audit and a PCOAB former emplolyee were found guilty on several counts. David Middendorf apparently convinced Jeffrey Wada at the PCAOB to reveal which KPMG audits the PCAOB planned to examine. With two PCAOB employees and one KPMG employee already pleading guilty, why was Middendorf lawyer surprised at the verdict? Something seems to be amiss at KPMG. After the biggest fine in history for their tax shelter scheme ($450 M) one would think all would have gotten the memo on ethical behavior. Jeff Skilling former CFO of Enron, has been released from prison. This and the Worldcom scandal combined to result in Sarbanes Oxley the most restrictive accounting legislation ever. Former Reeves County Judge plead guilty on various counts. this is part of the Uresti case I am presenting on at the SA IIA Fraud conference Feb 27. No tax returns since 2004, what was this guy thinking! Title IX Gals in the Pit Crew What Next? Policeman surprises pregnant waitress with big tip. Wonderful application of the Golden Rule. I have assigned Ralph Emerson's famous essay on Self Reliance in my ACCT 5308 Ethics class. A professor examines the American Psychological Association opinion that Self Reliance might be a Mental Illness. This article appears on Page A 13 to the Feb 9 WSJ. How times have changed. 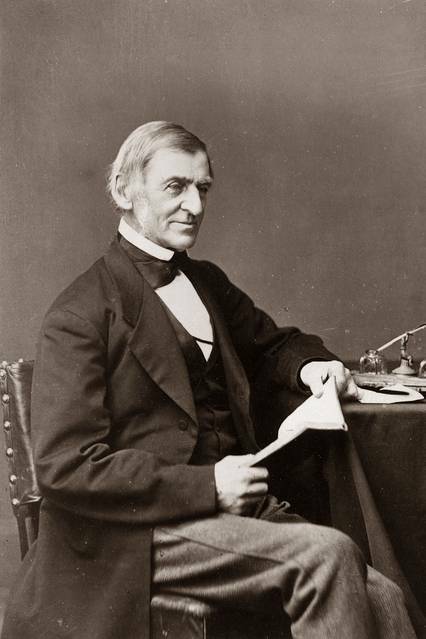 When Emerson was writing, Americans like Henry David Thoreau, Margaret Fuller and Lucretia Mott were skeptical of authority and valued dissent and independence of thought. They understood that dependence makes you vulnerable, even though we all do depend on one another in various ways. If you rely on the government for food, clothing, and shelter, you are at its mercy—currently that of Donald Trump. And as Thoreau argued in “Civil Disobedience,” if you depend on the government, you are disabled from resisting it. Recognizing that relationship between freedom and self-reliance, many feminists—from Abigail Adams’s era through the 1970s—taught that women must become less dependent on men. Even more than in Emerson’s time, we tend to think in groups or as groups. Many of us vociferously express opinions we do not hold or came to hold through a process of self-deception. It turns us into tribes of warring, servile conformists. Perhaps without realizing it, the APA is articulating a set of moral norms. That is also what Emerson was up to in his essay, though he was aware of it. These systems of values are exquisitely incompatible, an additional sign that America, for better and worse, has become something like the opposite of what it was.